The month of March brought important regulatory changes for employers on the federal and state levels, including some long-anticipated rules and some new trends beginning to emerge. For example, on March 18, 2019, New Jersey enacted a law that limits the use of nondisclosure provisions to maintain confidentiality regarding workplace harassment, discrimination, and retaliation claims. The U.S. Department of Labor (“DOL”) issued its long-awaited proposed changes to overtime salary thresholds, which would replace an Obama administration rule that was blocked by a federal judge in 2017. Another federal judge has hit the restart button on Obama-era EEO-1 pay data collection requirements. The U.S. Office of Management and Budget (“OMB”) stayed the requirements in 2017 before they went into effect. It’s unclear what the impact the judge’s decision to lift the stay will have on the 2018 reports EEO-1 reports, which are due May 31. For now, the Equal Employment Opportunity Commission has said that, for the 2018 report’s pay data collection, it will require Component 1 data detailing the demographics of an employer’s workforce but not the new Component 2 wage and hours data. However, there is legal pushback on this, so those requirements could still change. A new regulatory trend is beginning to emerge in the hospitality sector. New Jersey and Illinois have both proposed legislation that requires restaurants, specifically, to institute sexual harassment training policies. Unlike in California and New York, there is no legislation in either state requiring this sort of training for all private-sector employers. It’s too soon to tell yet whether sexual harassment regulations are beginning to get more industry specific, or if we’re simply seeing a reaction to recent scandals in high-profile restaurants. We’ll be monitoring developments in this area. "Evaluate and update your policies. A good first step is to update your anti-harassment or anti-discrimination policy by including gender identity or expression among the protected categories, even where it may not be required by law. Engage with your employees. If you have an employee who is transitioning, talk to them. Work with them to develop a workplace plan that addresses their desires regarding communication, changes to their HR IS profile, preferred names or pronouns, employee benefits, and any other issues that may arise. If you have an employee who is uncomfortable with a transitioning employee, talk to them. Educate and train your employees regarding these issues and your organization's philosophy regarding compliance with the law and inclusion." Stay tuned for further developments that may affect your business. This document has been provided for informational purposes only and is not intended and should not be construed to constitute legal advice. Please consult your attorneys in connection with any fact-specific situation under federal law and the applicable state or local laws that may impose additional obligations on you and your company. 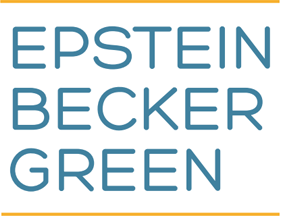 © 2018 Epstein Becker & Green, P.C. "I would like to thank the SCCA for this excellent service! The articles included in the newsfeeds are very useful and informative, and the user-friendly format of the newsfeeds means I can quickly glance over the précis in the emails to choose what to zoom in on."